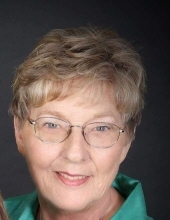 Marilyn Joyce Pannell, 78, of Overland Park, KS passed away October 2, 2018. A memorial services will be held on October 12, 2018 at 2:00pm with a visitation starting one hour prior at Wesley Covenant Chapel Church of the Resurrection, 13720 Roe Avenue, Leawood, KS. Memorial donations to be made to The Gideons International, P.O. Box 2153, Olathe, KS 66051. Joyce was born on December 19, 1939 in Wichita, KS. She grew up helping in her father's bakery with her twin brothers. While working at Boeing she met and fell in love with Gary Pannell. They were married on January 17, 1960. After living in St. Louis and Chicago for Gary's jobs, they settled in Overland Park eventually moving to a home in the country outside of DeSoto, KS. They lived at that home for nearly 40 years. Joyce was an entrepreneur, in addition to being a supportive wife and mother. She owned a clothing store, operated a horse tack shop out of her home and her and Gary owned a grocery store with two partners. After her three children graduated High School, Joyce and Gary embarked on their next adventure. Joyce began her real estate career in 1992. She was Rookie of the Year and continued for 20+ years with great success. She loved traveling with her friends, entertaining and spending time with her family especially her seven grand-kids. Survivors include: daughters Jacquelyn Benney of Lawrence, KS and Micquelyn and Gary Malina of Overland Park, KS; son Charles and Stephanie Pannell of Olathe, KS; 7 grandchildren. To plant a tree in memory of Marilyn “Joyce” Pannell, please visit our Tribute Store. "Email Address" would like to share the life celebration of Marilyn “Joyce” Pannell. Click on the "link" to go to share a favorite memory or leave a condolence message for the family.